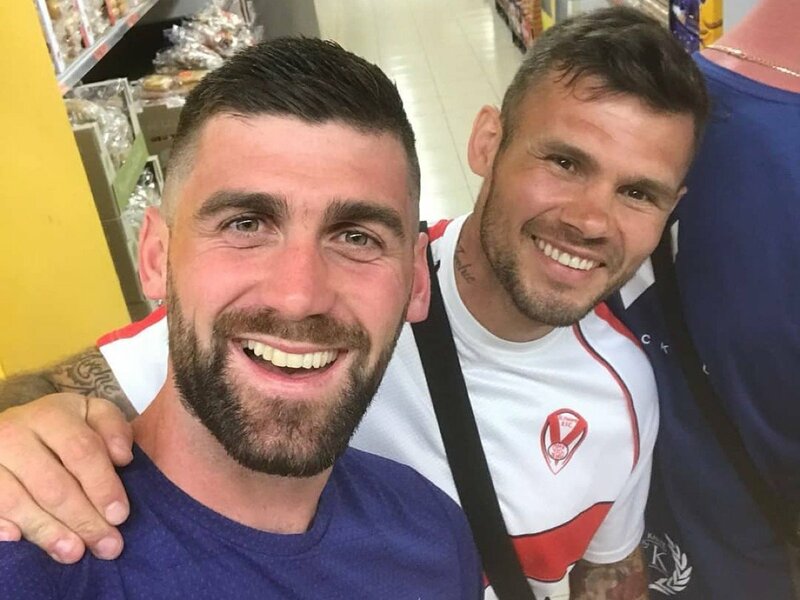 Martin Murray has provided a telling glimpse into the team ethic at Jamie Moore’s gym as Rocky Fielding begins preparations to fight Saul ‘Canelo’ Alvarez on December 15. World-ranked middleweight Murray (37-4-1-KO17) and WBA world super-middleweight champion Fielding (27-1-KO15) have developed a close friendship since joining forces under Trainer of the Year Moore. With countless rounds between the pair already in the bank, Murray jokingly admitted relief at not being handed the role of primary sparring partner but quickly added he’ll do whatever it takes to help his gym-mate in his pursuit of glory at Madison Square Garden. Murray said: “I saw Jamie the other day and in the gym and asked him who they were going to get for sparring. I thought they were going to say me but thankfully they said someone else! “He’s a horrible to spar with, Rocky, but do you know what? I’d do 1000 rounds with him if I had to. “We’re absolutely buzzing. We’ve known about it for a couple of weeks and were just waiting for the news that it had got over the line. WBA world super-middleweight king Rocky Fielding has recounted the story of how he learned of the dream fight against ‘Canelo’ Alvarez. ‘Rocky from Stocky’ will venture to Madison Square Garden as the defending champion to face Mexican legend Alvarez (50-1-2-KO34) on December 15 and, like many after him, couldn’t quite believe his ears when he heard the news. Fielding told MTK Global: “My trainer Jamie Moore phoned me at 9.30pm last Wednesday night. I was sitting in bed with the baby, who was having a night feed. “Jamie said he had some news. I said: ‘Go on…’ He said: ‘Canelo wants to fight you.’ I said: ‘What?’ He repeated it. I told him we should do it. “I put the phone down and my girlfriend asked me what’s up. I told her Jamie had told me Canelo wants to fight me. She told me I must be having a laugh. I told her I was being in serious. “Still, I got to the gym at 9 in the morning the next morning and said: ‘Is this a wind-up?’ It wasn’t. It was what MTK Global had been working on behind the scenes. -Josh Warrington -Husband. Father. Son. World Champion.